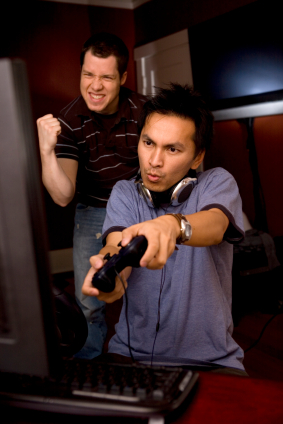 Gaming among college-aged men may provide a healthy source of socialization, relaxation, and coping. there were no significant mean differences between other variables related to social functioning (e.g., relationship status) and frequency of electronic game play, revealing no obvious trends in interpersonal functioning for those who play games more or less frequently. other media usage was either not related to frequency of electronic game play as for magazines or was inversely related, as with the frequency of consumption of television. This last observation suggests that individuals may be more selective with their choice of media rather than, as has been the general assumption, generally consuming multiple forms of media at equivalent rates. In spite of their negative associations electronic game play actually facilitate positive relationships and coping skills to some extent. and intrapersonal demands of their developmental period. The frequency of playing was positively correlated with being bored as well as playing when lonely and when stressed. The current study investigated relationships between frequency of electronic game play and obesity, the social/emotional context of electronic game play, and academic performance among 219 college-aged males. They electronically signed an informed consent form, completed the online survey, received a debriefing form that they could print for their records, and were offered the opportunity to request results of the study after its completion. electronic games within the last 24 hours. Individuals who were identified as current game players (played electronic games within the last week) reported a weekly average of 9.73 hours of game play. Of those currently engaging in game play, 8.5% reported playing an average of 35 hours per week. The reported mean age of commencement of electronic game play was 7.5 years of age. This study has to be replicated in other samples, with experimental and longitudinal studies will be necessary to ascertain the impact of prolonged gaming on social functioning. 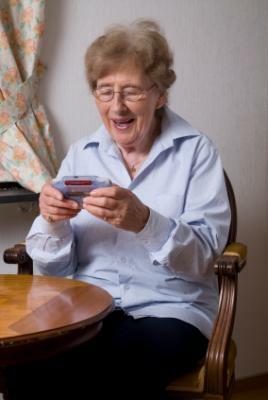 This also has to be done in other age groups in order to elucidate the role that electronic gaming plays across the lifespan. Interesting lecture about the development and future of video games by a video game designer: David Perry. Davis Perry is a programmer since childhood and a lifelong gamer, Perry has a special understanding of the mechanics that make games fresh, fun, emotionally involving — and addictive. This lecture contains two small videos about the evolution of video games and and it’s future. 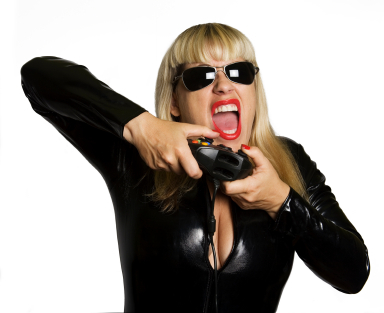 A lot of interesting facts such as that 43% of gamers are female, the most video games are bought by 37 years old, 83% of video games are non violent. Game designer David Perry says tomorrow’s videogames will be more than mere fun to the next generation of gamers. They’ll be lush, complex, emotional experiences — more involving and meaningful to some than real life. Computer Games Good For You? We all know the attitude of the Chinese government towards Internet: China’s Crackdown on the Internet. 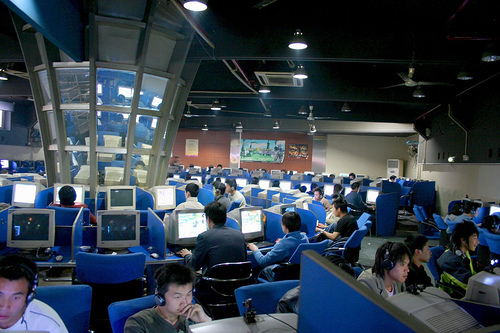 Another explanation for Internet addiction could be a creative manner of censorship by the Chinese government. Internet is a relatively new phenomena in China, a side effect of its booming economy and technological advances, but how to control this development and how to fit it in with its communist government? 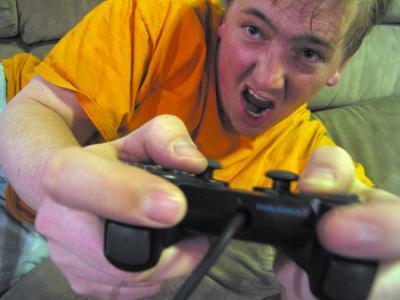 In a recent published article excessive game playing is proposed to be a social problem. Moreover, the authors of a recent article interpret their results to be proof of negative cognitive effects of excessive computer game playing . While the outcome of this study done in China is proof of the opposite and doesn’t confirm their conclusion to my opinion. Participants who had previously been excessive computer game players (ECGP) but were not active in gaming (pECGP group) performed significantly better than the control participants, showing the persistent positive effects of gaming. Them still participating in excessive computer game play did worse on a cognitive test compared to those previously known to be ECGP. However, these still ECGP did not significantly differ on the cognitive test compared to controls never been playing computer games excessively. Sixty male graduate or undergraduate students participated, they were recruited from the University of Science and Technology of China (USTC). To my opinion this finding supports the positive effects of computer game play for some cognitive functions. 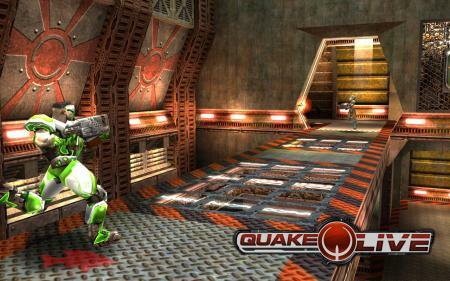 The test used was the multiple object tracking (MOT). This task has been used to show the positive effects of game playing. This task requires participants to track positions of a number of target items for a few seconds during which the participant is vulnerable to disturbances. This test can measure such skills with computer games that require players to distribute and switch attention quickly around the field, can alter a range of visual skills. Therefore, people who play casino games may benefit from their games training for some time even without further experience. the current ECGP participants performed significantly worse than the previous ECGP participants. This more important finding indicates that ECGP may be related to cognitive deficits.